Everett Griner talks about bees busy pollinating around the country and making honey in today’s Agri View. For the past five years all I have read and reported about bees has bad because of Colony Collapse Disorder mostly. I have finally found something positive to talk about. First of all, I know very little about bees and the world of pollination. I just know that bees are essential to food production. We have over two and one-half million colonies of bees in America. Half of them are transported to California every year to pollinate tree nuts. They are also going to New York to pollinate apples. To Maine to pollinate blueberries and Massachusetts for cranberry crops. And they are going to over a dozen other states for various other crops. 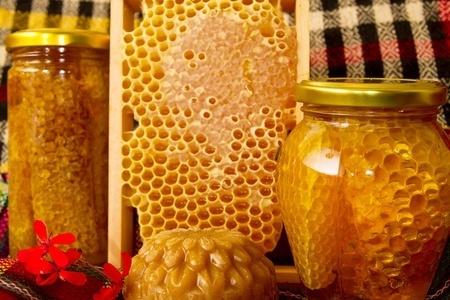 All of that travel and pollination produces over three hundred million dollars’ worth of honey. There is a lot more I can tell you about bees and honey, but, I have run out of time today. I’ll get around to more, later. That’s Agri View for today, I’m Everett Griner.